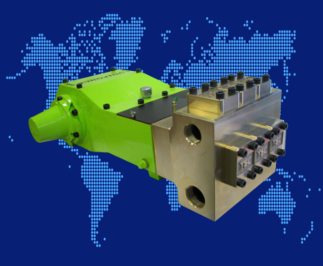 Serving both onshore and offshore drilling industries worldwide. TSC MANUFACTURING AND SUPPLY, LLC is a leading global provider of fluid end expendables and mud pumps spare parts for your existing drilling equipment. We offer new TSC designed mud pumps and solid control systems to help you minimize risk, increase uptime and improve performance in your drilling operations. TSC MANUFACTURING AND SUPPLY, LLC is headquartered in Houston, Texas with facilities strategically located worldwide providing unrivaled quality, customer service, on-time delivery, and unmatched technical integrity. We are continually raising our standards higher to deliver the safest, most efficient, and most reliable equipment in the world. All of our product offerings are manufactured in ISO 9001 and API ISO/TS 29001 24 compliant Quality Management System. We ensure your parts are where you are when you need them 24 hours a day, 7 days a week, 365 days a year. TSC Group © 2014, All Rights Reserved.